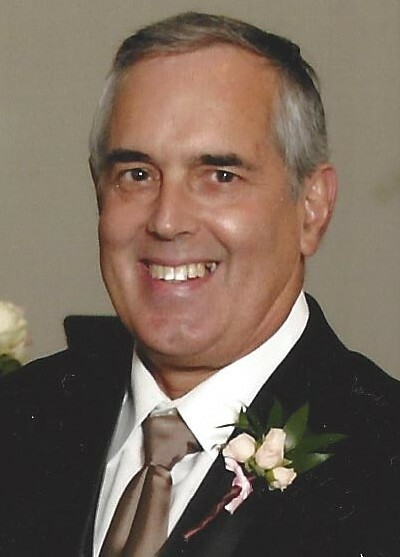 Anthony “Tony” Lawrence, 71, of Ankeny, Iowa went home to be with the Lord on Thursday, July 20, 2017 after a 3 year battle with cancer. He was born on July 8, 1946, in Hanford, California, the son of Tony and Betty (Hardin) Lawrence. After a few years the family relocated to central Iowa. Tony was the eldest of ten children and grew up in Guthrie Center. He graduated from Guthrie Center High School. In 1971, Tony married Helene Lawler, together they had three children; Carrie Marie, Eric Anthony and Wade Andrew. After living in State Center for a few years while Tony worked at Blood’s Dairy Farm, the family moved and made their home in Maxwell, Iowa. The couple later divorced. Throughout Tony’s career he worked for several companies including Blood’s Dairy Farm, Chicago Northwestern Railroad and Safeway. In 2006 Tony moved to Ankeny to be closer to his growing family and worked at Hy-Vee until his retirement. Tony will be remembered for his kind heart, generous nature and his unwavering love for the Lord. Tony enjoyed gardening, cooking (many have been the lucky recipient of his meals), woodworking and spending time with his church friends, children and grandchildren. Those left to cherish his memory are his children; Carrie (Dustin) Heaps of Maxwell, IA; Eric (Jenny) Lawrence of Ames, IA; Wade (Andrea) Lawrence of West Des Moines, IA; and seven grandchildren: Tanner (8) and Kiernan (6) Heaps, John Metcalf (18), Charlie Lawrence (4), Brennan (8), Devon (6) and Brooklyn (4) Lawrence and siblings; Donald, John, Lillian, Ralph, Joe, Leonard, Vivienne and numerous nieces and nephews. Tony was preceded in death by his parents, Tony (1977) & Betty (1996) Lawrence and his sister Betty “Marie” Brandenburg (1963) and infant brother (1957). Funeral services will be 10:30 a.m. Wednesday, July 26, 2017 at Saylorville Church (6429 NW 6th Dr., Des Moines, IA 50313). The family will greet friends prior to services from 9:00 a.m. - 10:30 a.m. The family wishes to thank the staff of Mercy Medical Center Downtown, Oncology floor for their kind care.